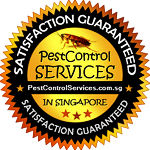 Looking for reputable pest control company in Singapore? Several people across Singapore and other parts of the world try to control insects such as bugs and flies using store-bought chemicals, only to end up doing just nothing. If you are having issues with insects, hiring a pest control service to get rid of those problems once and for all is the best decision to make. Here are some reasons why you should consider hiring a professional pest control company rather than doing it yourself. A professional pest control service provider can offer more effective and quicker results than doing it yourself. Because of the chemicals they use and their experience that you may lack, a pest control company can quickly come up with effective extermination plans and get rid of all pests in an efficient way and in a short period of time. In Singapore, a reliable company can offer their treatment services within a half day, while bigger problems, which need fumigation, can run up to a week. Of course, the service of pest control may cost you some amount of money every year, but this amount is just a fraction of what you will pay if termites or carpenter ant colonies are left to cause damage to your home. In fact, you could be spending a lot of money in structural issues and repairs that are possibly irreparable. It is therefore important to hire a professional pest control service provider to conduct regular inspections in all your properties and deal with any insect-related issues before becoming worse. An experienced service provider can increase the effect of any pest control treatment by simply locating the source of infestation. For instance, for an effective termites control requires, you must destroy their source completely. If you get rid of the termites, but do not find the source that attracts them to your home or properties, then more infestations are more likely to show up. A good pest control company can easily determine the cause of infestation, locate the specific source and remove it to prevent possibly future infestations. Some sources of pests include garbage, soil, plants, nests, pet food, and egg batches and even in certain parts of the walls. Whether you are trying to get rid of bed bugs or any other insects from your old home or just trying to protect a new home, a good pest control service can offer you extermination plan that will meet all your requirements. A professional service provider usually takes a number of factors into proper consideration before recommending the plan, which is best for the type of infestation you are facing, including the severity of infestation, the size of your home, and what techniques will best be the most effective. Most pest control companies have a team of experts who have undergo extensive training on how to deal with some pesticides that are harmful when exposed to the environment. So, they understand well how to place them when preventing and controlling certain types of insects. For example, bed bugs control requires some strong chemicals to be eliminated. Since they infest in areas that people usually spent some of their time in, itâ€™s best done by a professional to minimize the danger. In addition, some reputable service providers use environmentally friendly pesticides, which are safe for both pets and humans. They also know how to attack potentially dangerous insectsâ€™ hideouts/habitants such as waspsâ€™ nests and beehives. For instance, a novice could disturb a hive and easily cause a swarm, which could lead to serious problems. Mice control is also another problem that is better left to professional to solve. In Singapore, you can get the best pest control service to get rid of several different types of pests, including rodents, spiders and lots of other types of insects such as termites, wasps, fleas, bees, ants and cockroaches. Different types of chemicals and baits are needed to extract and get rid of all sorts of pests. A qualified service provider understands well the proper and safe dosages of pesticides and other chemicals to use and where exactly to use them. A significant advantage of looking for a pest control service is that the experts have the experience and training to identify all sorts of pests and insects infiltrating your home or any other property and then determine how they can effectively get rid of them. They can eliminate certain pests by simply using poisoned bait, which leads to various chemicals or a trap. Some pest control service provides specialize in green or organic pest control. It can really a daunting task to try indentifying areas where bed bugs are hiding and try to get rid of them. If you do not want spend several hours looking for pests in your home, hire a professional to handle it for you. Most of these companies will adapt your schedule and work around it, allowing you time to focus on other things according to your schedule. Another advantage is that a good one will continue monitoring your home or property and also retreat any emerging pest infestation related problem. Hiring one saves you the hassle of trying to do it yourself and you would not waste your money on harmful chemicals that promise to work, but fail. You will also get quality and guaranteed service. The cost of hiring a pest control company can save you some money over time. Several rodents and pests can damage your properties â€“ destroying clothes, floors, carpets, furniture, walls and even rugs, which eventually force you to fix the damage. Hiring a professional pest control service provider to eliminate the pest infiltration effectively and quickly can protect your property from further damages. Beyond just being creepy, pests such as mice and bed bugs can carry hazardous bacteria and harmful diseases that can affect the health of people living in infested areas, including yourself. For example, cockroaches are known to carry E coli and salmonella that can worsen health problems related to asthma and allergies. Conclusively, with these great benefits, there is no reason why you shouldnâ€™t look for professional pest control service to enjoy them. Always, consider hiring a qualified person to inspect your home once in a while. Need help in pest control, bed bugs, termites or fumigation?